Key of C. Open-hole French model, silver-plated in-line keys, B footjoint, sterling silver .014" thinwall headjoint, silver-plated .018" body. Includes case. 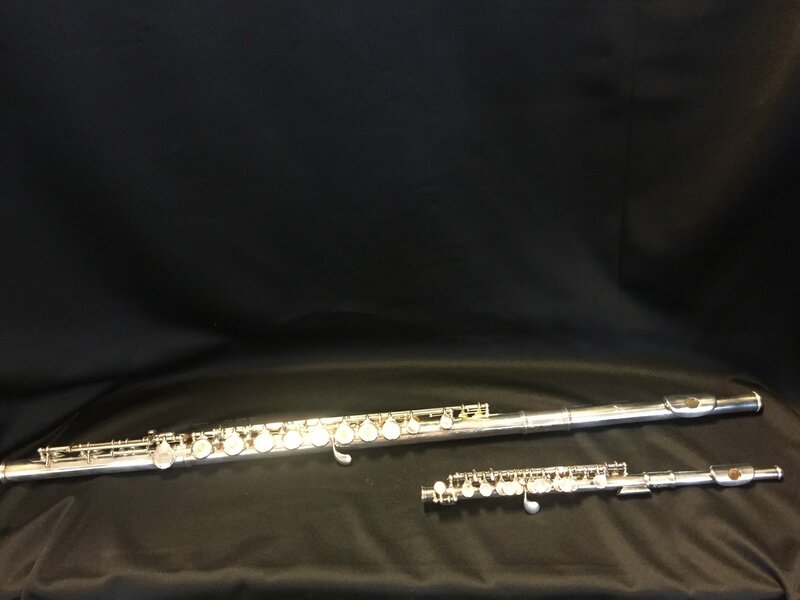 Classic band model with silver-plated headjoint and body "cylindrical bore" silver-plated keys hard-shell case. Excellent for marching band!